The many shades of pink create a perfectly harmonious arrangement. Perfectly pink and perfectly right for any occasion. 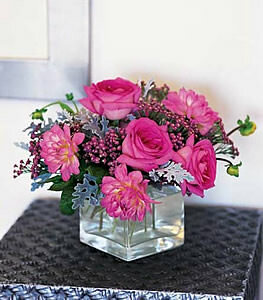 Pink roses and yarrow arrive in a clear glass cube. Vase may vary from item pictured.